The Outer Docks. This image can be dated from 1889 when P&O's Arcadia (centre) was diverted to Southampton due to a coal strike. 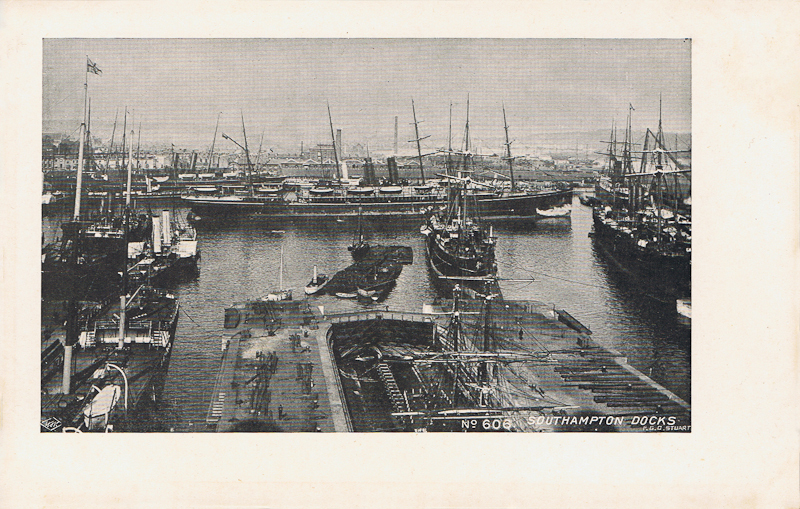 Stuart issued a number of cards of this view of a crowded Southampton docks, both in colour and black and white. See this card, this card and this card for example.